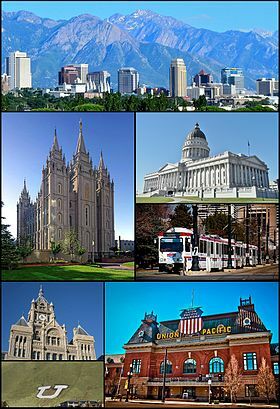 Founded in 1977, I-O Corporation is a Utah-based company located south of downtown Salt Lake City and on the outskirts of Utah Valley commonly referred to as 'Little Silicon Valley.' There are quite a few tech based companies located in this area and we are one of them. For so many years, we have made our living at I-O in the centralized and virtualized computing space. Our products have continued to support the IBM Host Printing and Connectivity world and our recent PCoIP Zero Clients, Host Cards, and Thin Clients support the new world of Virtual and Cloud Desktop Computing. We are business partners with IBM, Citrix, Microsoft and VMWare and strive to meet the Server & Desktop virtualization needs of the 21st Century. It is anticipated that this will continue to be a mainstream business opportunity for quite some time to come. I-O was founded in 1977 and pioneered technological advances in the peripherals market, including the introduction of the first AS/400 (System/3X) compatible display station with a host addressable printer port. Other firsts include introduction of internal and external connectivity solutions which enabled mass produced PC printers to emulate AS/400 and Mainframe system printers. In addition to our IBM Host printing and Connectivity products, we manufacture, OEM, and sell Zero Clients and Thin Clients to the SMB and Enterprise Markets with an Industry-Best 5-Year Warranty on our Pro|Edge Brands. We provide complete desktop and server virtualization solutions. We will deliver defect free products and services to our customers on time. We will understand and conform to our internal and external customers’ requirements. We will work as a team and as individuals to eliminate defects and improve our work process. I-O products are available to end-users through an extensive worldwide dealer network, and in conjunction with the products of various independent Solution Partners.